With the growth of the gig economy and widening adoption of total talent approaches, contingent project management through Statements of Work is becoming increasingly popular. Some leading global recruiting experts, however, see SOW as a source of maverick spend, making it a hot topic in the contingent workforce management industry. As a project management tool, SOW defines specific project deliverables and timelines, and can also include acceptance standards/criteria, contract type, and payment schedule for the project. That’s where management can get tricky. Payment can be hourly, fee-based, or milestone-based (i.e., based on accepted deliverables, up to and including final project completion, delivery and acceptance). Add into this the mix of vendors supplying contingent workers, and maverick spend can creep into your projects and cause them to go over budget and under deliver. What is SOW Maverick Spend? Maverick spend results from purchases that break corporate purchasing processes and rules, whether the intent is deliberate or not. So How Can You Keep SOW from Creating Maverick Spend? The best solution is to have a vendor management system (VMS) manage your SOW in concert with the rest of your contingent workforce. Because a VMS automates the management and procurement of contingent staff, it can enable your team to prevent SOW from creating maverick spend. It can also boost cost savings, giving you full visibility, ensuring compliance, and creating systematic efficiencies. It’s impossible to mitigate maverick spend if you can’t find it. 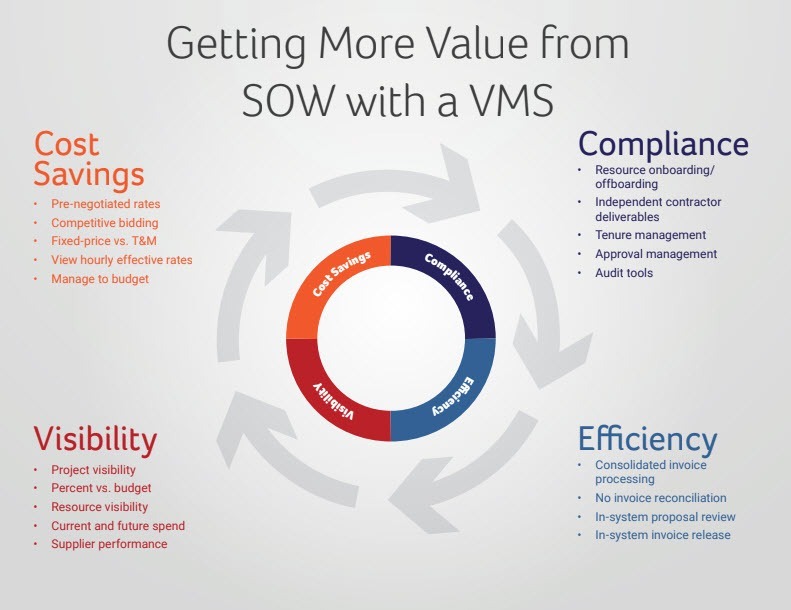 A VMS gives you a complete view of SOW spend across the company. Looking at services spend across an organization can reveal cost-saving opportunities, and enable you to better evaluate project success. A VMS can also provide visibility into pricing across suppliers to identify any variance. One thing that makes a given process or enabling technology valuable is its ability to keep all the parts in check. These controls enable you to develop budgets during negotiation and then track payments against the budget. By helping ensure that projects are managed to budget across all phases, a good VMS reduces your risk of maverick spend. Negotiation can be exciting, as it’s where the deal is made. But keeping track of all the materials that accompany negotiations can be time consuming, confusing, and counter-productive. A VMS automates this process and allows you to negotiate with multiple sourcing suppliers simultaneously. By tracking communication and assets, timestamps create a vital record of each stage and the relevant proposals and counter-proposals. 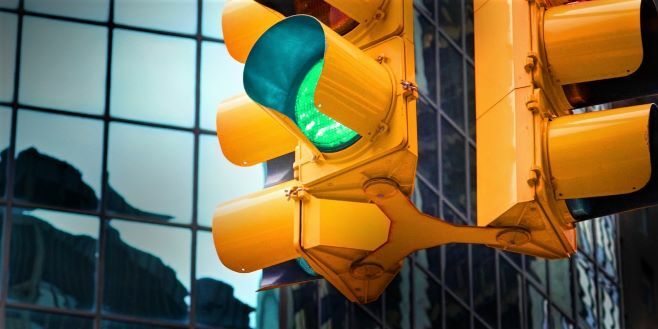 Procurement professionals are all too aware of supplier management challenges, and the importance of tracking varying processes, expertise, and other vendor details. Facilitating total compliance and potential crisis management. Like other business processes, procurement of contingent workers follows defined stages to properly source, acquire, and maintain resources. By implementing a VMS, you ensure that SOW-based projects follow all applicable process required by your company. At each step you will benefit from both specific controls and visibility, ultimately supporting proper management and better decision making. Modern vendor management systems deliver robust analytics and reporting tools that allow you to adequately track and measure outcomes. For SOW, it is important to measure planned and earned value throughout the project to determine whether you’re on track and on budget. With clearly defined metrics and reporting, procurement and HR professionals can effectively and efficiently manage compliance and reduce risk associated with compliance audits. Don’t let SOW become a source of maverick spend for your organization. Invest in a VMS to seize the benefits of reliable vendor management processes and visibility across your contingent workforce.